Brooding and thoughtful, this stunning elephant wall plaque pays tribute to one of nature's most magnificent creatures. 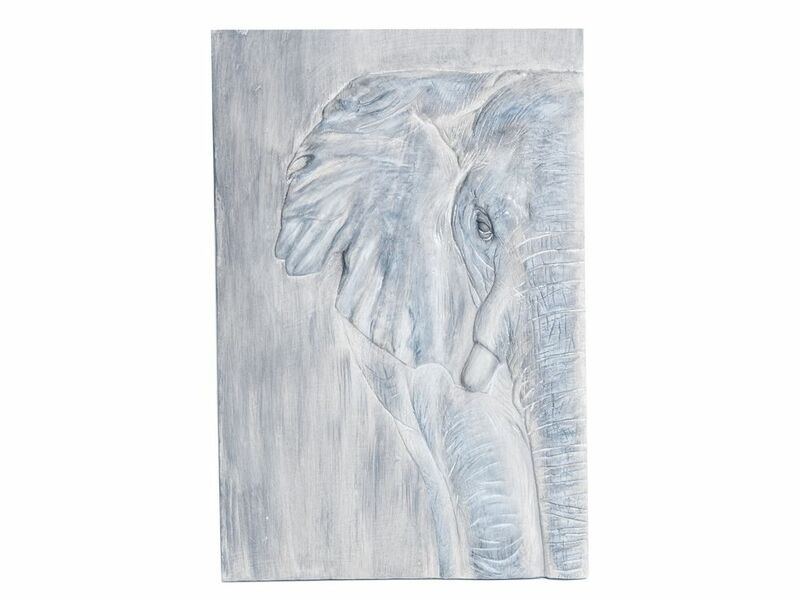 Made from resin, the textured blue-grey finish of this wall hanging perfectly depicts the elephant's thick, wrinkled skin, bringing it to life. The raised relief artwork gives a three-dimensional look and shows only half of the elephant's face as it walks towards you, accentuating its size. At about half-a-metre tall, this elephant wall art will create a commanding presence in rooms, expressing the power yet vulnerability of this famed beast.